NIA-CHARLESTOWN NEVIS (April 13, 2011) — Stakeholders at the start of a three-day International Health Regulations (IHR) Workshop on Nevis were reminded of their importance to continue to persevere in spite of the challenges they faced in order to safeguard the health and livelihoods of the citizens of St. Kitts and Nevis. The call came from Health Planner in the Ministry of Health on Nevis Mrs. Nicole Slack- Liburd when she delivered remarks at a ceremony to mark the start of the workshop in partnership with the Pan American Health Organisation (PAHO). The event was held on Wednesday at the Llewellyn Newton Disaster Management Office at Long Point. “When we think about diseases entering through our ports, we are not only concerned with the impact of our nation’s health but the effect a disease outbreak, for example, may have on our tourism product as well as the effect on our ability to engage in trade. “We see therefore, that the adherence to the International Health Regulations is closely tied to the health of the nation’s economy,” she said. 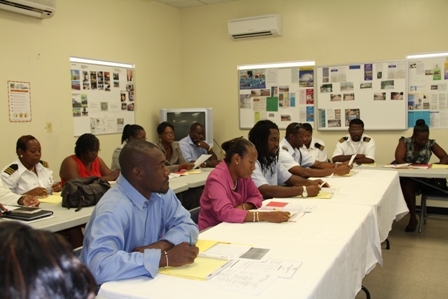 According to the Nevis Health Official, the workshop was intended to evaluate the knowledge of various stake holders with regard to the IHR; educate relevant stakeholders on the IHR and the role of the competent authority; to review the plan of action with regard to the development of the IHR core capabilities at the Point Of Entry (POE) and to identify a strategy for its further development and implementation of recommendations. The workshop will also seek to educate the respective departments about IHR and the various responsibilities since the participants would become trainers at the end of the three days. 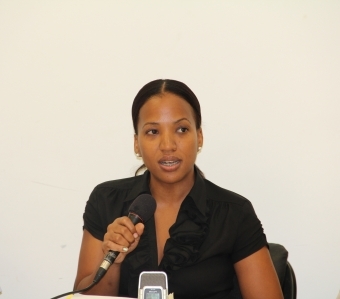 She said St. Kitts and Nevis was a signatory to the IHR and it meant that the eight core capacity areas had to be strengthened over the next year – national legislation; coordination and National Focal Point Communications; Surveillance; Response; Preparedness; Risk Communications; Human Resource and Laboratory. Notwithstanding, Mrs. Slack-Liburd urged participants drawn from the health sector and officers from various ports of entry on St. Kitts and Nevis to work as a group during the workshop in an effort to ensure compliance to fulfil the requirements of the legislation. The Health Planner said though there were no formal penalties associated with non compliance, a tarnished reputation was costly to the Small Island Developing States it was important to build on the draft plan of action developed in December 2009 to ensure that a healthy nation was maintained. According to Mrs. Slack-Liburd, the International Health Regulations were meant to assist countries respond to health threats that had the potential to cross borders and threaten the population of nations like St. Kitts and Nevis. “These revised regulations of 2005 are purposefully broad in scope as compared to the original regulations which were restricted to communicable diseases namely Cholera, Plague and Yellow Fever. You may remember the SARS outbreak of 2003, which was subsequently followed by the Avian Influenza or “bird Flu” and the H1N1 epidemic or “Swine Flu”. “These diseases were not originally covered by the IHR in 1969 but some of us right here in this room remember the panic that these diseases caused and may also remember the demands/requests made by the Health Department – all in accordance with IHR of 2005,” she said. The health Official said those public health threats could also include chemical spills and nuclear meltdowns and pointed to the ongoing situation in Japan, though may not be at the top of the radar in St. Kitts and Nevis. However, she reminded that there was the real threat of a radioactive spill in the Caribbean Basin which serves as a major transport route for waste between countries such as Japan and France despite the opposition of many regional governments.